All of a sudden my daughter gets feisty when I try to do things for her. I don’t get it. I love it when people do things for me. If I had the choice I’d lay in my bed all day watching TV while people brought me things and rolled me over now and then to keep the circulation going. After years of having everything done for her from feeding to dressing to holding her hand every step of the way, my daughter finally has the physical and cognitive ability to do many things on her own. She wants to be independent and as difficult and nerve wracking as it is for us, we’re letting her flex her independent muscles. This includes letting her play on her own in her room without her parents or her big brother watching over her. Why on earth would we have to watch her playing in the safety of her own room you ask? 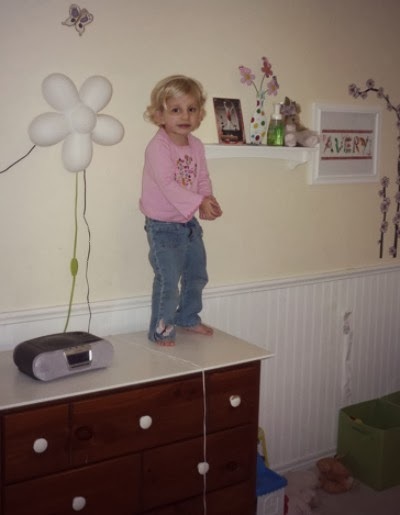 This kid is a climber and a risk taker. Left to her own devices she’d scale the shelves in her closet or slide a chair over to climb up somewhere high. Apparently playing at ground level isn’t nearly as much fun as it is atop a dresser or standing on a bookshelf. 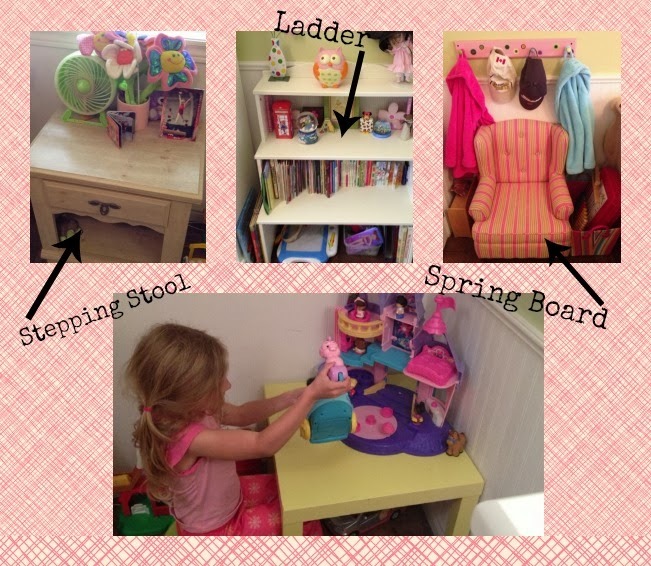 This is why until recently her room was sparse — no chairs, stools, bookselves, tables or large toys. She doesn’t climb in her room anymore, but just in case we leave her door ajar. I can tell exactly what she’s doing by the sweet sound of her pretending with her Little People characters — acting out life scenes from deep within her imagination makes me want to cry (Ha! Who am I kidding, you know I’ve totally bawled my eyes out listening outside her room). Our girl is growing up and “catching up” in many ways. Some of the conversations she has with her toys and dolls is rather sophisticated and demonstrates an emerging comprehension that is so exciting.